YCP Bobbili MLA Sujay Krishna Ranga Rao and his brother Baby Nayina deciding to switch their 5 Years,(Previously they are in Congress, due to issues with Botsa Satyanarayana, left the congress and join in YCP) association with YSR Congress Party has become a hot topic of discussion in both Telugu Desam and the YSRC. 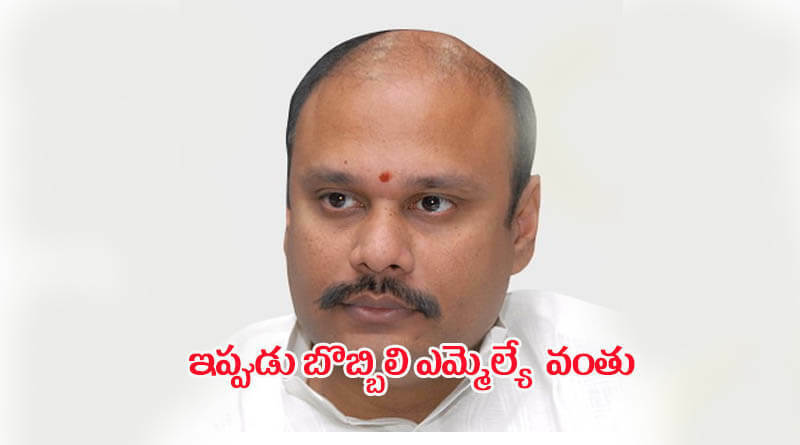 In fact, Bobbili Raja brothers have decided to quit the YSRC soon after Botsa Satyanarayana joined the YSRC. However, YS Jaganmohan Reddy pacified the Bobbili brothers and promised that the party would never ignore their services and interests. Meanwhile, senior TDP leaders , Bobiili TDP Incharge Tentu Lakshmu Naidu and his followers are covertly opposing the entry of Sujaya Krishna Ranga Rao into the party. Sources said in the ensuing cabinet shuffle, Chandrababu Naidu may offer berth to Sujaya Krishna who has been waiting for it for a long time. On several occasions, Sujaya Krishna and his brothers got opportunities to shape themselves as mass leaders in the district. However, while they were in Congress, Botcha Satyanarayana did not encourage them. Though they have royal background and faithful followers, their influence was limited to Bobbili town and assembly constituency. The overwhelming feeling in the YSRC was that Mr. Satyanarayana’s entry would prove costly to party president Y. S. Jaganmohan Reddy. At that time there were speculations that the duo might join either the saffron party or the yellow brigade.